Bollywood energetic boy Ranveer Singh has completed his charming 7 years in the film industry with his marvellous performances in the films. Seven Years ago from today on 10th December, Ranveer Singh's first film Band Baaja Baarat was released and it became one of the successful films of the year. Ranveer Singh nailed the silver screen with his performance as Bittoo Sharma from Delhi opposite Anushka Sharma. It was a sleeper hit at the box office and also it was the first time when Bollywood's biggest production house YRF launched any male actor in the film industry. Since then the actor has given brilliant performances in the films like Lootera, Ram Leela, Bajirao Mastani, Gunday, Dil Dhadakne Do and others. The casting director of YRF, Shanoo Sharma recently congratulated the star and also shared the whole incident how the next gen star got his first ticket to Bollywood and that too under YRF. Shanoo Sharma posted, 7 years ago, on a regular morning just like any other, I was sitting with my family and speaking to my aunt on the phone... he walked into my home with a script in his hand, and a smile so wide, it could swallow the universe in it !!! “You got the film?? ?” Happy, screaming, hugging, crying, church, dancing, friends, emotions ...The flow was strong. And till today the flow has been beautiful and most importantly blessed! So here’s to You!!! Thank you for making me proud! Thank you for making me look back and always having you as a great memory!!! I love you Ranno! Always have! Always will! 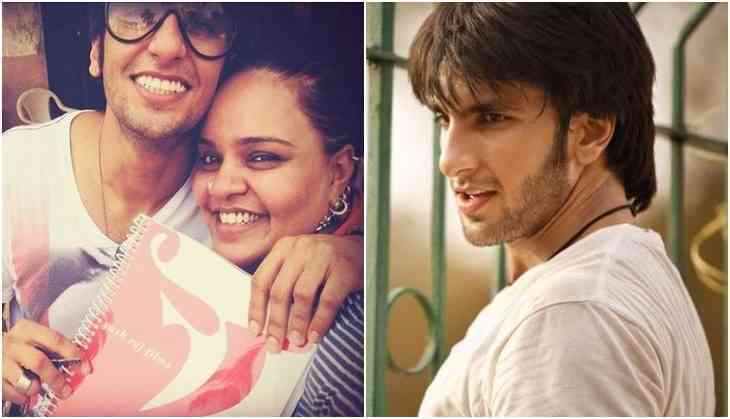 On the professional front, these days Ranveer Singh is busy in the shooting of Gully Boy and Kabir Khan's 83. He is also waiting for the release of his upcoming movie Padmavati.